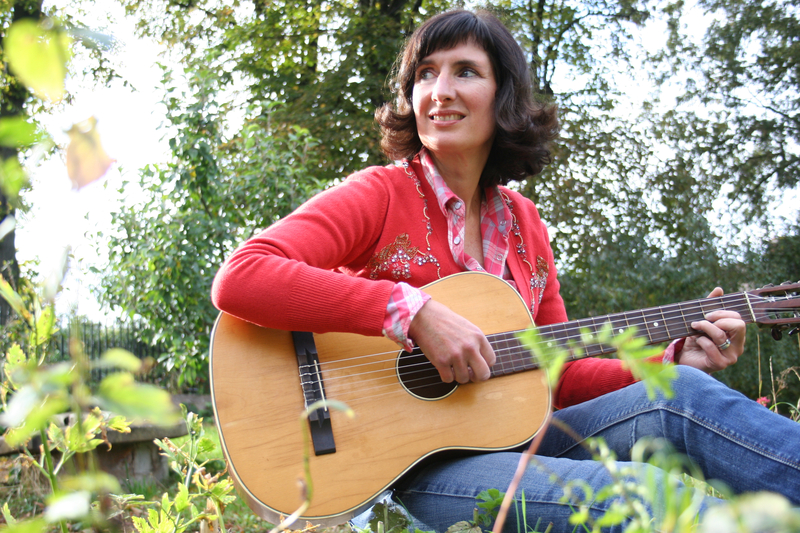 Singer-songwriter Rebecca Hollweg has just released her 3rd album of melodic songs, ‘Country Girl’, described by UNCUT magazine as ‘another delightful batch of tunes,’ and given 8/10. Her albums have been played on BBC Radio 2 by Janice Long, Jamie Cullum, Jeremy Vine, Aled Jones, Eamon Holmes and Alex Lester, and she has played sessions for BBC Radio 2, BBC 6Music (Tom Robinson), and played live on BBC Radio 4’s ‘Woman’s Hour’ and ‘Loose Ends’ as well as Broadcasting House, BBC London (Robert Elms and Simon Lederman) and World Update with Dan Damon on the BBC World Service. Rebecca has played venues and festivals all over the UK and Europe, from Ronnie Scott’s and the South Bank Centre, to Glastonbury Festival, Latitude and Moseley Folk Festival. She has played in Crete, France, Germany and Holland, and has toured major theatres round the UK as support artist to Roger McGuinn of The Byrds and Paul Carrack of Squeeze and Mike & the Mechanics. 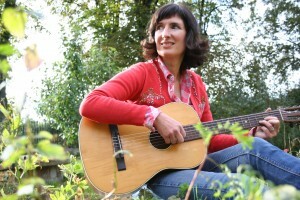 She is a regular musical guest of poet and comedian John Hegley. For the second year running she played a series of concerts in South West France in summer of 2017. Rebecca has many loyal and passionate fans of all ages and backgrounds. Her music is most like that of James Taylor, one of her major influences, and her songs and special voice connect with people. She writes about things in her life that are important to other people too. Listening to her play live, one audience member described as ‘like being enfolded in a warm embrace’. Her music has folk, country, jazz and pop influences and she is an accomplished singer working with a band of exceptionally good musicians. She accompanies herself on acoustic guitar, and works with her husband Andy Hamill,a highly respected bass player who has worked and recorded with many big musical names (including Laura Mvula, Rumer, Eska, Natacha Atlas, Mark Murphy, Nitin Sawhney, Omar, 4Hero and Kylie Minogue). UK FESTIVALS : Latitude Festival 2010 and 2012, Moseley Folk Festival 2011, Belladrum 2010, Garforth Arts Festival, Rockhampton Folk Festival 2015, Glastonbury Festival 2016, Art in Action Festival 2016. SOLO SUPPORT TOURS include 2 UK tours supporting ROGER MCGUINN (of THE BYRDS) in 2001 and 2002 – playing the following large scale theatre venues: Colston Hall Bristol, Coal Exchange Cardiff, Reading Concert Hall, City Varieties Leeds, Lowry Manchester, Southport Arts Centre, Huntingdon Hall Worcester, Union Chapel London, Blackheath Concert Halls London, Guildford Civic, The Stables Milton Keynes, Cottier Theatre Glasgow, Aberdeen Music Hall, Customs House South Shields. and supporting PAUL CARRACK (of Mike and the Mechanics and Squeeze) in 2003 – playing the following large scale theatre venues: Plymouth Pavillions, North Wales Theatre Llandudno, Cheltenham Town Hall, Croydon Concert Hall, Watford Colosseum, Lowry Manchester, Derngate Theatre Northampton, Embassy Theatre Skegness, Corn Exchange Cambridge, Guildhall Preston, Aberdeen Music Hall. Plus supports for LYNDA LEWIS, THEA GILMORE and CARLEEN ANDERSON and double bills with JEB LOY NICHOLS and EDWINA HAYES.